Whisper Creek - Fantastic HOA includes lawn care, snow removal, great community pool, common area and are just steps away. This home will not last! MLS#5586612. Masters Real Estate Group. West Woods - Must see the custom finishes throughout! New Class-4 hail resistant roof MLS#2464528. TRELORA. Village Of Five Parks - Experience this home in 3D! :https://tours.virtuance.com/public/vtour/display/1282897?idx=1#!/ MLS#5665544. iHOMES COLORADO. Candelas - Close to amenities yet this home sits in a peaceful area away from it all! MLS#5277122. eXp Realty, LLC. Huntington Heights - Basement boasts a wet bar, updated bathroom, non conforming bedroom, office, and flex space.Walk through this perfect family home and you will appreciate everything it has to offer. MLS#9532519. COLORADO 1ST PROPERTIES LLC. Located within walking distance to Stenger Soccer Complex, Lutz Baseball fields, surrounded by parks, walking trails, and open space. MLS#6509180. RE/MAX ALLIANCE. Near Ralston Creek Park/Trail. Quiet Neighborhood. Mature Landscaping. MLS#9838369. RE/MAX ALLIANCE. 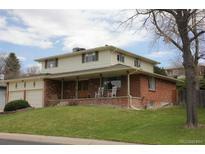 Arvada Plaza - Call today to schedule your private showing of this beautiful home! MLS#3846555. TRELORA. Arvada West - 2 huge patio areas: 1 attached 23x11; and 1 kidney shaped near the RV driveway: 15x15; beautifully landscaped backyard and mature trees complete the picture. MLS#2905752. RE/MAX ALLIANCE. 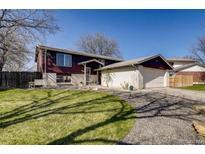 Ez access to I-70 and 93 into Boulder MLS#6815063. Keller Williams Preferred Realty. Corner lot semi-custom Raleigh Flats 4 bedrooms, 3 bathroom, with gourmet kitchen-granite countertops, oak cabinets, stainless steel appliances, hardwood floors throughout main level, iron rod stairs, built-in surround sound in family room, master suite with 5 piece master bath, walk-in closet, laundry on second level-next to bedrooms, backs to school open space, close to new Clear Creek & Federal G Line, quick commute to Regis University and Berkley shops restaurants, 20 mins from downtown Denver MLS#4954388. RE/MAX Synergy. Arvada West - This home also boasts a one car attached garage, a large front and back yard with mature trees and landscaping, patio for nights around the fire pit, and NO HOA!! ! MLS#8143735. RE/MAX ALLIANCE. The backyard is it's own retreat with a new flagstone patio, large trees for privacy, above ground garden beds, and a new six foot privacy fence. MLS#7233539. COLDWELL BANKER RESIDENTIAL 24. Village Of Five Parks - Opportunity - Make this YOUR "forever home" "move in ready" right here! MLS#9531932. PARAGON REALTY SALES LLC. Close to shopping in the heart of Arvada, this home has it all. Schedule a showing today! MLS#7924509. Keller Williams Advantage Realty LLC. 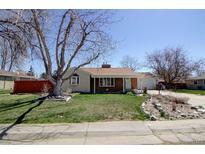 Arvada West - Updated, this home is selling at $450,000. MLS#7184659. Keller Williams Advantage Realty LLC. This Yellow Brick Beauty has been loved & cared for. TURN KEY home. MLS#1814020. 8z Real Estate. Candelas - Three Creeks K-8 blocks away. This home is must see! ! MLS#8840139. Keller Williams Advantage Realty LLC. Woodland Valley - Great location near Apex Center, Arvada Skate Park and Denny Kendrick Park. MLS#5943388. Redfin Corporation. Contact listing agent for private showings. MLS#3627965. Cobalt Realty Partners Inc.
Sunland Hills - Move-in ready and perfect for any buyer! MLS#4297041. RE/MAX Alliance - Olde Town. Arlington Meadows - Private resident access to Jim Baker Reservoir and path to Tennyson Knolls Elementary school. MLS#3121188. HomeSmart Realty Group. Don’t just love where you live, THRIVE at 18640 W 85th Drive. STOP & SEE. MLS#3353571. PRO PROF REALTY OPERATIONS. Lamplighter - Finished Sq ft. 3929 based on Appraisal done in 2017. MLS#9399293. HomeSmart Cherry Creek. Iris Place - Great neighborhood community close to shopping, restaurants and easy access for commutes to Denver, including the new Light Rail (G Line) opening on April 25th! MLS#8016986. Chamberlin Real Estate Consulting Inc..